Take part in this dynamic professional development experience! The 29th Annual International ACCT Conference and Exposition is the largest gathering of thought leaders, Course Owners, Course Operators, Canopy-Zip Line Tour Professionals / Trainers & Testers, Facilitators, Builders, Manufacturers, Insurance-Risk Management Representatives, Higher Education Faculty, K-12 School Teachers, Park District Personnel, Camp Personnel, Programmers, Social Services Agency Officials, YMCA, Ski Resort Owners and other critically important practitioners and contributors in the challenge course industry. 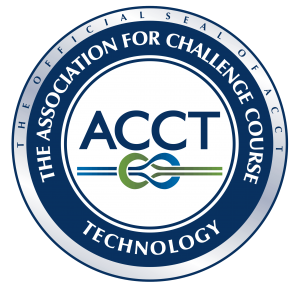 Whether you’re an experienced practitioner or a newcomer to the field, the ACCT Conference is a great opportunity to help advance our collaborative work on behalf of the challenge course industry.